This is a sample of product portfolio ppt powerpoint slides. This is a one stage process. The stages in this process are segments, paints, chemicals, decorative paints, industrial paints, pathetic anhydride, pentaerythritol. 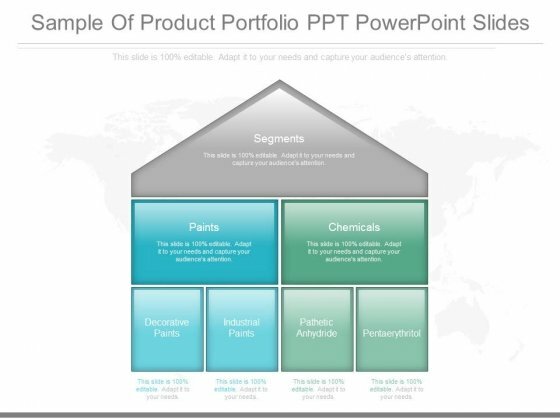 Arrive at a complete consensus with our Sample Of Product Portfolio Ppt Powerpoint Slides. The audience will put all differences aside. This is a business analysis vs business analytics diagram ppt slides. This is a one stage process. The stages in this process are area, main focus, architectural domains, requirements, project management, business analysis, functions and process, enterprise process technology organisation, functionality software configuration and development, sdlc, business analytics, data and reporting, data information technology, reports, dashboards and kpis data consolidation and presention, sdlc agile. 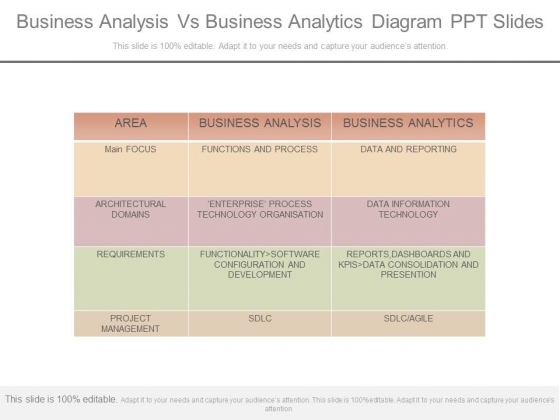 Expound on your field of study with our Business Analysis Vs Business Analytics Diagram Ppt Slides. Familiarise them with what you have dug out. This is an enterprise process mapping diagram powerpoint layout. This is a one stage process. The stages in this process are develop and manage product and services, human resource management, mark and manage products and services, information technology management, deliver products and services, manage customer service, management, financial. 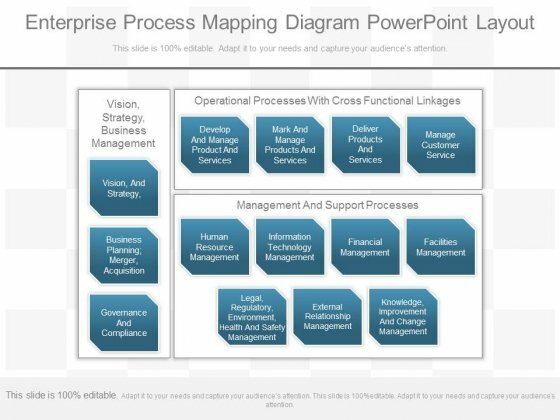 Our Enterprise Process Mapping Diagram Powerpoint Layout get you a promotion. With our money back guarantee you have nothing to lose.